How many car accidents were there in South Dakota today? According to statistics from the South Dakota Department of Public Safety, the average number of accidents per day in South Dakota during 2017 was 40. Based upon this figure and other data collected by the Department, the number of car accidents in South Dakota today was approximately 17. Other circumstances that contribute to the number of car accidents that occur per day are the type of road and poor road surface conditions. In 2015 the top speed limit in South Dakota was raised to 80 mph, so excessive speed is another contributing factor. No matter the cause or contributing factors, vehicular accidents can result in property damage, injuries, and even fatalities. If you or a loved one has been injured in an car accident while driving on South Dakota roadways, chances are good that you’re going to need the assistance of a personal injury attorney with knowledge and experience when it comes to litigating vehicular accident cases. 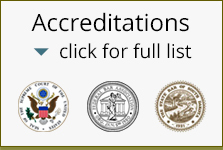 The firm of Rapid City attorneys Greg Yates and Michael Schubeck have earned the reputation of being the go-to attorneys when it comes to representing personal injury cases. When you are considering how many car accidents there were today in South Dakota, you can’t forget about truck accidents and accidents in which a motorcycle was involved. Statistically speaking, trucks and motorcycles are involved in fewer accidents than cars, but they often result in serious personal injury and even death. Accidents involving trucks, especially big rigs and 18-wheelers, have the potential of resulting in serious injuries to passengers and drivers in cars primarily due to the difference in mass and size between the two. The injury-producing forces are much greater in a collision between a truck and a passenger vehicle. Motorcyclists have a much greater risk — almost 5 times greater — of being in a collision vs drivers of cars. Because motorcycles are smaller and lighter than cars and trucks, and because the driver is exposed, they’re more at risk for being involved in highway accidents. At the Sturgis Motorcycle Rally this year, there were a total of 51 accidents involving some type of injury, five of which resulted in a fatality. The good news is that the number of accidents each day in South Dakota is lower than in many other states. However, if you’ve been injured in a motor vehicle accident, you’re going to need an experienced attorney to represent your interests when it comes to medical bills and other expenses that may result. The goal of Greg Yates and Michael Schubeck, personal injury attorneys in Rapid City, is to make sure that you get the financial settlement that you need to take care of present costs as well as those that you may experience in the future. Call our law firm for a free consultation.